Wednesday: TBD... any ideas for me? Thursday: Homemade Pizza (with leftover Buffalo Chicken)! Tacos is always my go to. I second tacos for Wednesday. They are quick and yummy! This week I'm taking some of the boneless porks Big Y has B1-2F slicing a pocket in them and stuffing w/prepared pork stuffing (also on sale)maybe add chopped apples and/or walnuts to the stuffing. And I'll have zucchini or green beans on the side. 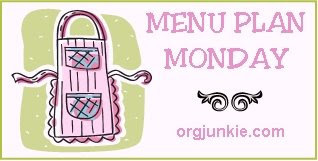 Your menu sounds so good! I'm in a never-ending search for the perfect mac n cheese!